Panasonic one of the leading battery providers in the smartphone business has just announced it has developed a flexible lithium-ion battery. The battery can be used in wearable devices or any card-type electronics, as it's only 0.55mm (0.022 inches) thin. According to Panasonic, the rechargeable battery can withstand bending and twisting beyond the Japanese Standards for identification cards (bending radius R40mm, twisting angle ± 15 degrees/85.6mm. On top of that, the battery is capable of maintaining its characteristics even after being repeatedly bend and twisted. The same goes for the charging and recharging characteristics. And if you're thinking of safety, Panasonic confirmed that its new flexible battery is safe to use in devices attached to the human body, including smart clothing and wristband wearable devices. This battery uses newly-developed laminated outer body and internal structure that make it difficult to cause leakage and abnormal heating during repeated bending and twisting. That makes this battery reliable and safe for use in wearable and body attached devices. The first shipments of Panasonic's bendable batteries are scheduled to start by the end of October 2016. While the product development will continue with the final purpose of mass production, Panasonic is determined to make its flexible battery even slimmer in order to be included in various IoT devices such as card and wearable devices. 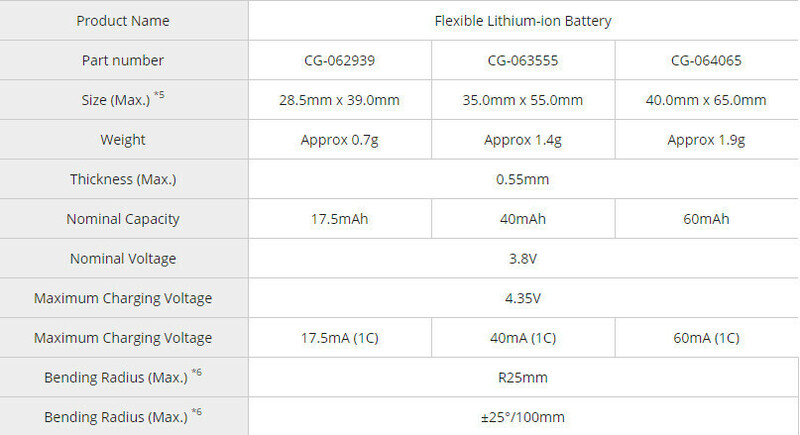 The disappointment comes in the fact that the nominal capacity for Panasonic's flexible lithium-ion battery is as high as 60mAh, which means they're not meant to be included in smartphones. Two smaller models will be shipped next month as well, with a nominal capacity of 17.5mAh and 40mAh. 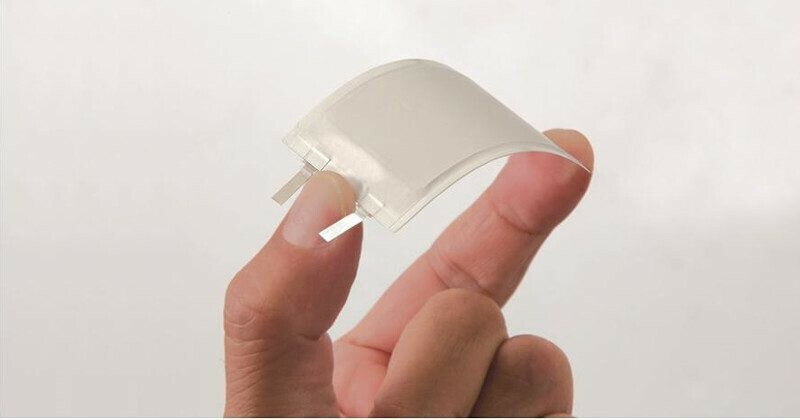 Hopefully, the new technology can be applied to larger capacity batteries, otherwise we won't see any true flexible smartphones on the market anytime soon. Will these batteries explode like note7 and note7 replacement units? Units? There is only one chinese man who claims his replacement unit exploded. There are several iphones who have exploded aswell, does that mean all are affected? Wait. So basically, you could put batteries into the smart watch bands? Awesome! Not sure how i'd feel about that exploding on an arm. Way too many will it explode comments. You guys are starting to sound like the you're holding it wrong douche bags. Will this be like the chew gum from Mission Impossible? Bend it, stick, and Boom! Didn't Lg have it with Lg G flex? I'm just waiting for Samsung to get in on this technology and enter the apparel business. I can't say as much about the world as a whole, but such explosive clothing would be wildly popular among Middle Eastern radicals.